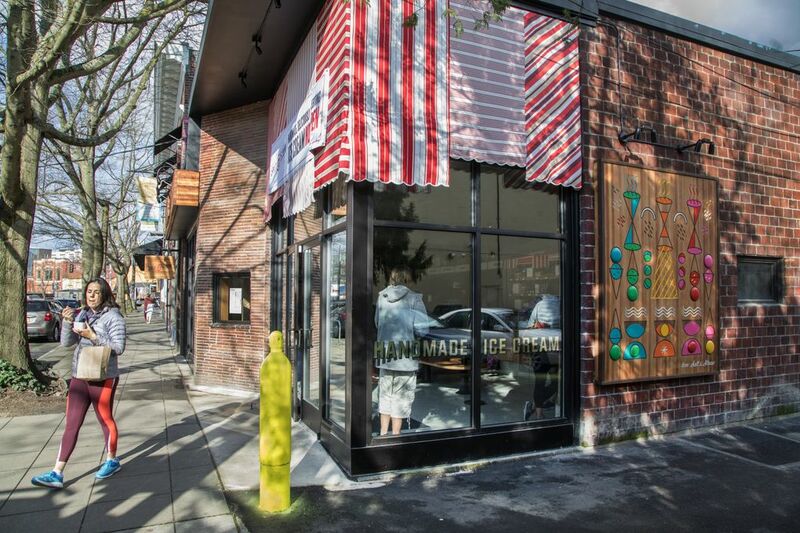 Opening in Ballard and Capitol Hill, this much-hyped ice-cream spot will be all the rage for awhile. 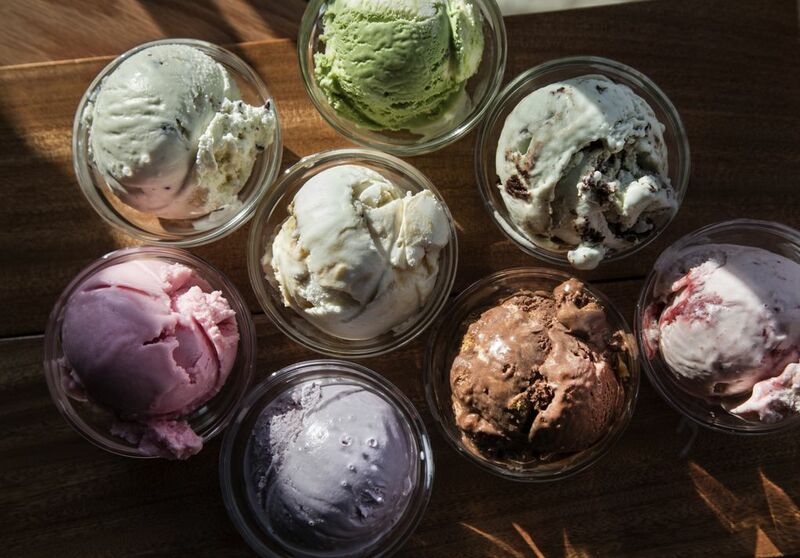 Will its scoops tailored to Seattle-based ingredients be worth the wait? 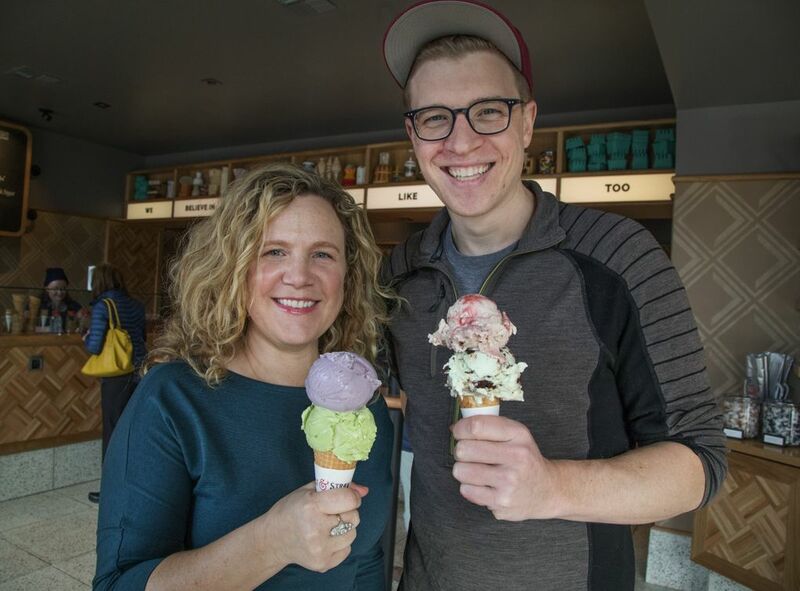 Now that their cult ice cream Salt & Straw is available in Ballard and Capitol Hill, co-founders Kim and Tyler Malek must deal with the hysteria. Four days before their Ballard store opening: passers-by try to crash their private party for family and friends. Two women press their noses against the glass to gawk at the ice-cream cones being licked. Others stand in the rain and stare. Three days before the opening: A man pleads for ice cream. He has driven from Mukilteo with his 95-year-old dad. Can’t they just … Oh, fine. Tyler Malek gives them a taste. Opening day: One fan drives 45 minutes from North Bend. Another, Jason McCleary, drives from Tacoma, grateful for the “short drive” since he used to make the 150-mile trek to Portland four times a year just for his Salt & Straw fix. 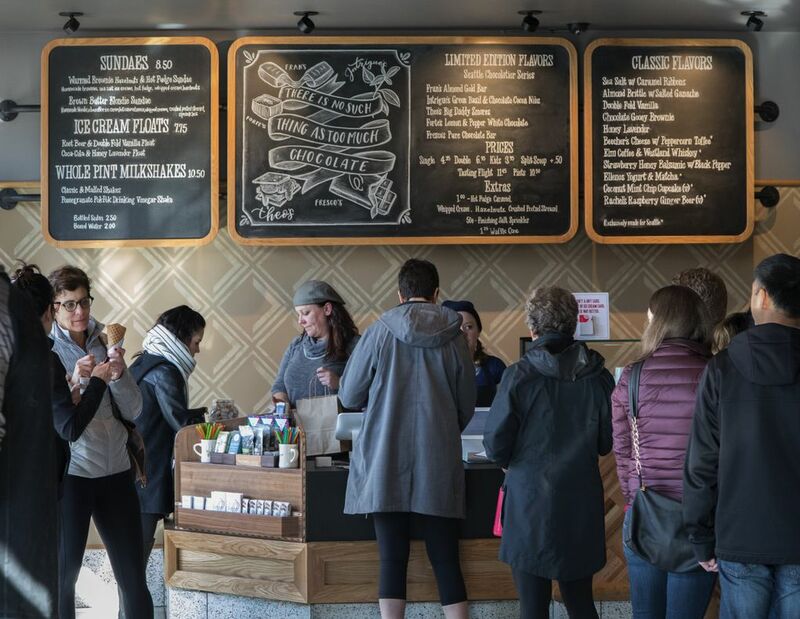 Across the West Coast, Salt & Straw has become nearly as legendary for the waits as for the ice cream. Lines that snake around the corner. Lines that hold up traffic. Lines during rainy days. Cold days. Would you weather such extremes for a scoop? Before you say no, know this: Salt & Straw is so loved that many star chefs such as Gabriel Rucker and Roy Choi have collaborated with the brand. 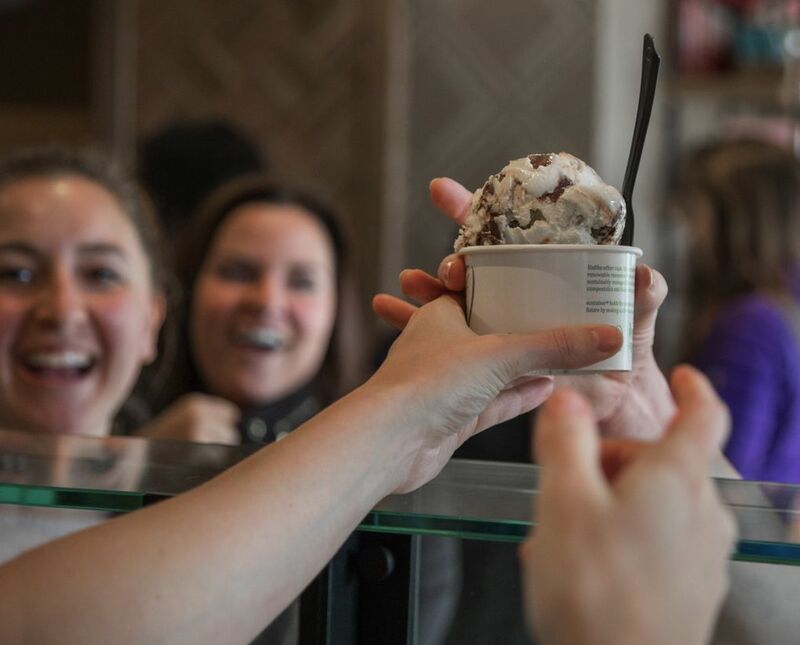 That dozens of artisanal food-and-drink purveyors have lined up with the hope that their ingredients will be immortalized by a Salt & Straw ice cream. 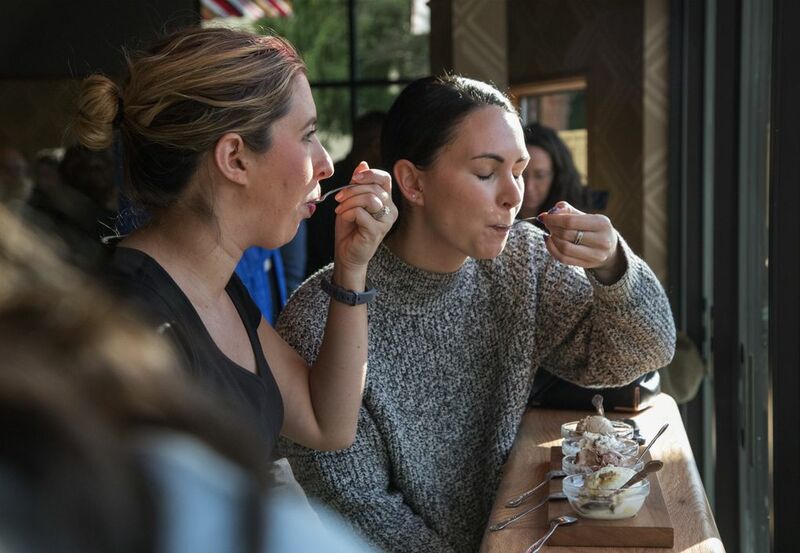 That Danny Meyer, owner of Shake Shack and several acclaimed restaurants in New York City, a restaurateur who knows a winner when he sees one, bought a minority share in this ice cream last year for an undisclosed sum. Salt & Straw started as an ice-cream cart in Portland in 2011. Kim Malek quit her six-figure job to push that cart. A Montana native, she attended Pacific Lutheran University in Tacoma and then moved to Seattle, holding several jobs including director of Frappuccino for Starbucks. Her friends thought she was nuts to give up her career. She was the freakin’ director of Frappuccino!?! But her heart screamed for ice cream. Bank lenders told her America didn’t need another ice-cream franchise. What’s more, the country was in the middle of a recession. She couldn’t find an investor. So at the age of 39, Malek cashed out her 401(k), sold her farmhouse-style home and moved to Portland to launch her business. Around the same time, Tyler, her cousin from Snohomish, graduated with a degree in Chinese from Western Washington University. Tyler figured life was too short to be crunching numbers at a bank in Beijing. He briefly attended culinary school before convincing his cousin to give him a shot. She asked if he knew how to make ice cream. Tyler replied that, he is, um, a very fast learner. He then bought three ice-cream makers from Goodwill to practice. The rest has been a sweet dream. Their cart drew lines. Oprah’s people called: Oprah Winfrey wanted to give them a shout-out. They opened a brick-and-mortar along Portland’s Northeast Alberta Street. Then two more shops in town. Then five more, all in the Los Angeles area, and two more in the Bay Area. Then an expansion into San Diego last Christmas. They also opened a soft-serve ice-cream spot, Wiz Bang Bar in Portland. In Seattle, their Ballard outpost is about 2,000 square feet, at least twice the size of any of the other 12 branches, including the one on Capitol Hill. On the weekend, they “overstaff” the Ballard shop with 16 scoopers, rotating them like a bullpen to relieve counter workers from wearing their arms out. 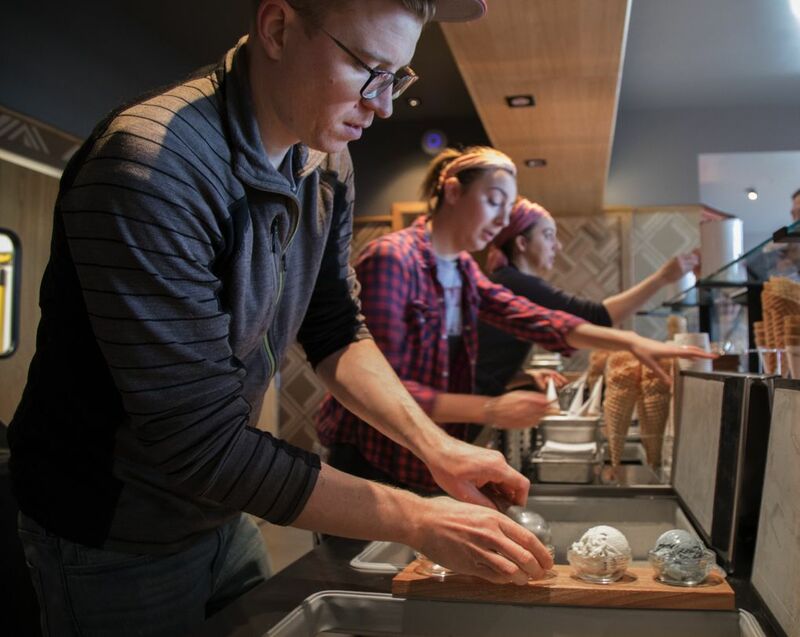 Every hour, they scoop at least 200 frozen samples of 16 different flavors from Elm Coffee & Westland Whiskey ice cream to Rachel’s Raspberry Ginger Beer sorbet. 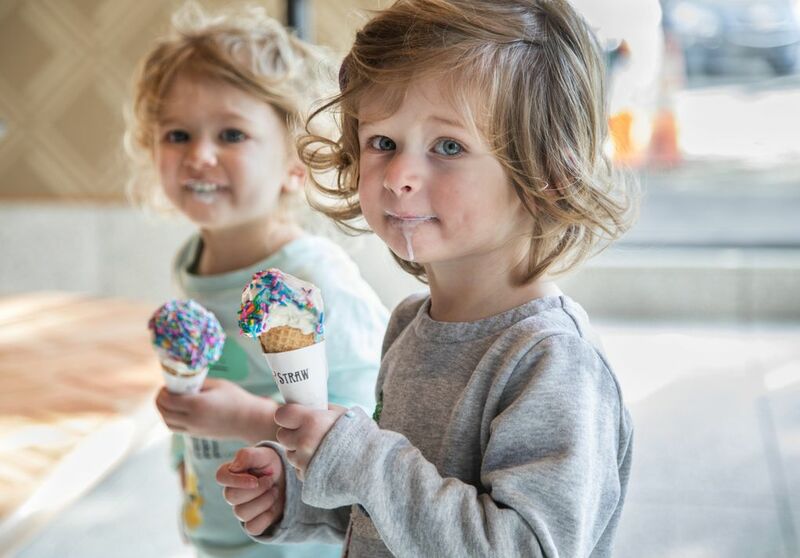 As is tradition in every city it launches in, Salt & Straw takes iconic local ingredients and morphs them into frozen treats, taking the alchemy in weird, unexpected ways, in swirling hues as bright as a Dr. Seuss book. Beecher’s Cheese with Peppercorn Toffee ice cream pops like fresh ground pepper. Intrigue’s Green Basil & Chocolate Cocoa Nibs ice cream gets a refreshing herbal coating to temper the bitter bites. To die-hards, these are exotic flavor bombs that are revelatory, a melding of different ingredients that shouldn’t work but do. To haters, these are sharp, funky notes that linger, like an annoying jingle that sticks in your head. It’s easy to pick up Salt & Straw’s MO. There’s usually a high-fat, unctuous-creamy base cut with salty or acidic flavors. Where Salt & Straw veers from other precious ice-cream purveyors is in the ingredients used for the acidic and salty side of its equation. They have used duck fat and crackling chicken skins for savory; fermented cocoa beans in miso and lemon curds for sour. Their past menus have included cream of bone marrow and smoked cherries; green-corn tamale ice cream with candied corn kernels and agave; avocado with cardamom and fermented carrot custard; fish-sauce-flavored ice cream with caramelized palm sugar and coconut. The flavors are based on Tyler’s intuition. He seems to work on the premise that ice cream is like a white canvas that should be approached with an artistic sensibility and not based on focus groups or the bottom line. Every month brings a new theme. Currently it’s chocolate ice cream. In May, it will be the “Flower Series”; June, the “Chef Series,” its most popular, a high-profile collaboration where Tyler hunkers down in his R-and-D kitchen in his adopted hometown, Portland, and composes an homage to the chosen chef. For L.A.’s chef Michael Voltaggio, he created a “Loaded Potato,” a sour cream-and-Yukon-spud ice-cream base with white cheddar-cookie dough, Oreo made with bacon fat, caramelized onion juice and green sprinkles to mimic chives. For Seattle, he approached Renee Erickson, the James Beard award-winning chef who owns The Walrus and the Carpenter in Ballard and five other restaurants. Flavors he has batted around: Three salsa-verde ice-cream variations with different proportions of anchovies, capers, mint, lemon, salt and tarragon; two variations of a preserved lemon-butter-vinaigrette ice cream — one with a strawberry compote and another with a roasted-carrot custard. None worked for Erickson. Erickson and her executive chef Bobby Palmquist have given him feedback on the samples. Her favorite was the Moroccan ice cream with pickled rose petals and Ras el hanout, a North African spice. “Sometimes for me, the ironic ice-cream flavors are a little too much. This one was the one that Bobby and I were ‘wow,’ ” Erickson said. Still, Tyler said he’s not as far along as he had hoped. He’s overnighting her more samples that he’s been tinkering with. To Tyler, it’s not good enough that you think the Erickson ice cream tastes good. He wants that scoop to jog your memory of, say, a Normandy-inspired first course you had at her Bar Melusine on Capitol Hill. The scoop must have Erickson’s DNA. That’s part of the mystique of Salt & Straw. With two Seattle store openings and his own wedding to plan, Tyler has given himself an April 6 deadline to nail down the Renee Erickson flavor. This involves a drawn out wait and anticipation — just like everything with Salt & Straw. Look for the Erickson ice cream to debut in June.